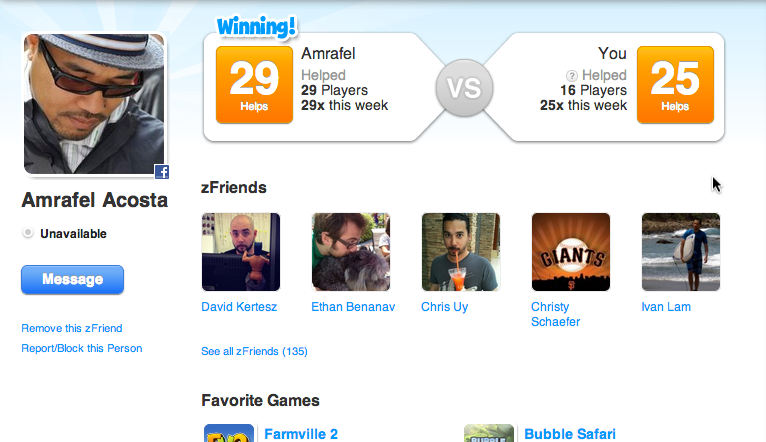 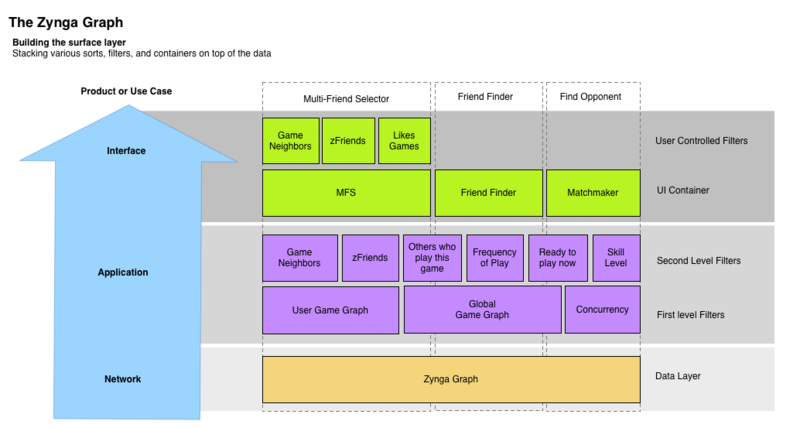 Design Manager and UX Lead for strategic platform initiatives in Zynga’s cross-product network group. 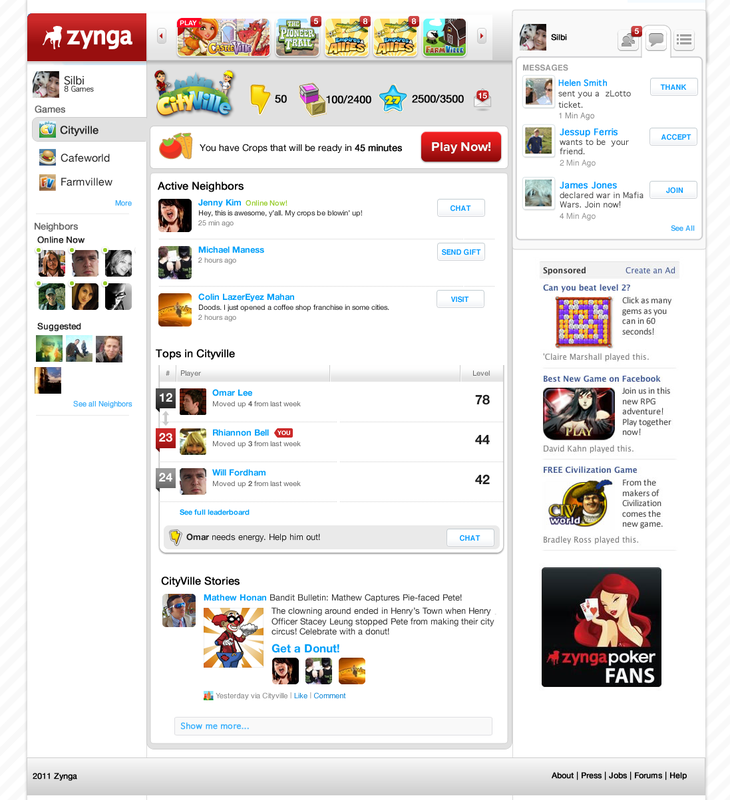 Principal interactive architect for www.zynga.com, Zynga’s dedicated game portal. 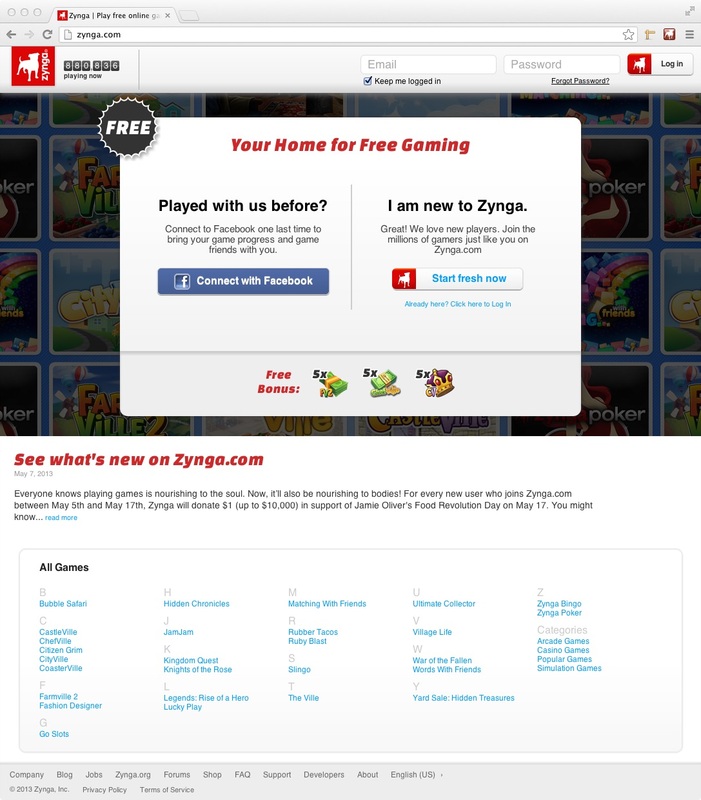 Collaborated with creative directors, product manageers, and developers to launch Zynga’s independent account and identity system connecting web and mobile games. 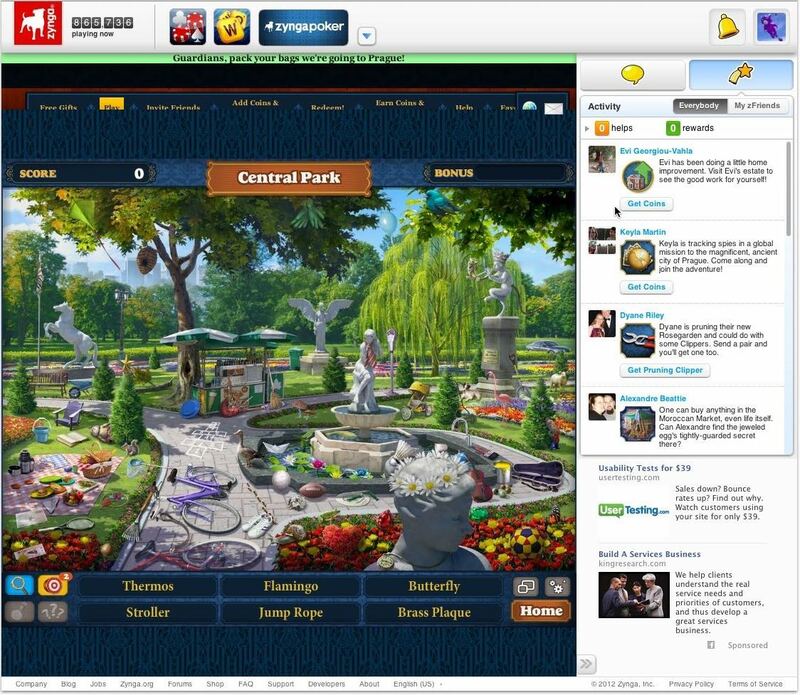 Managed zChannels team providing design services for Facebook promotion and distribution channels. 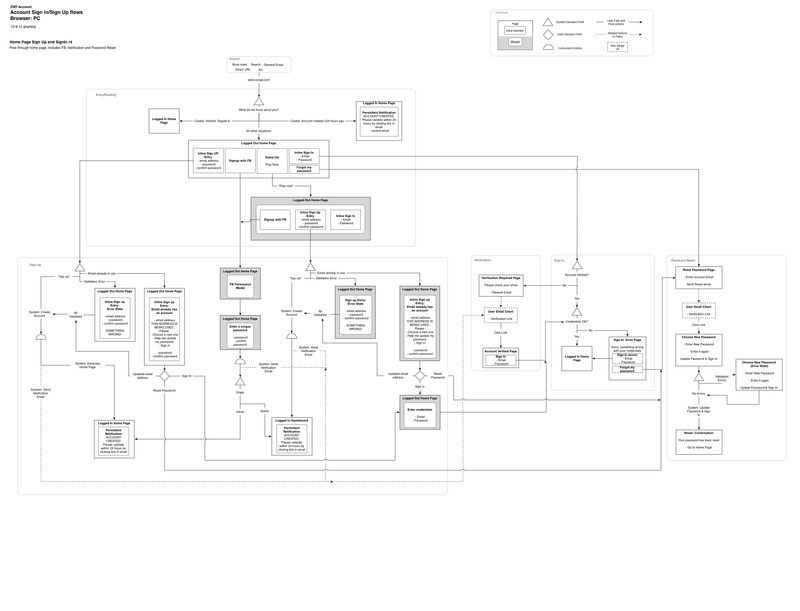 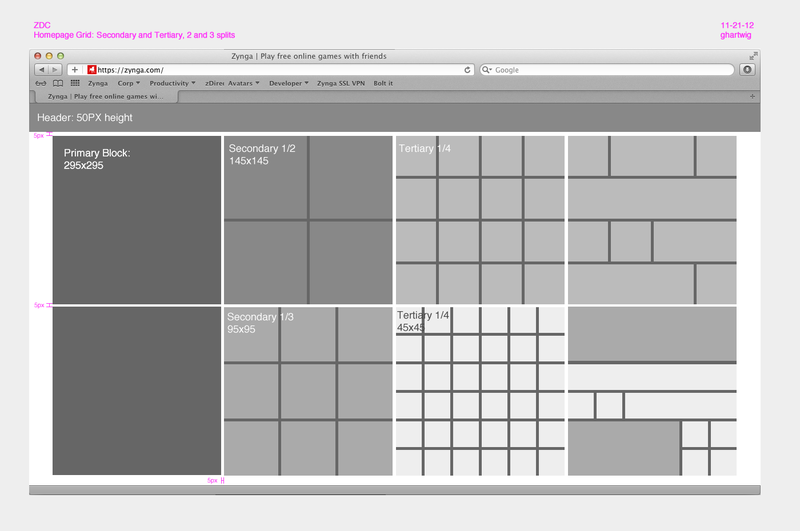 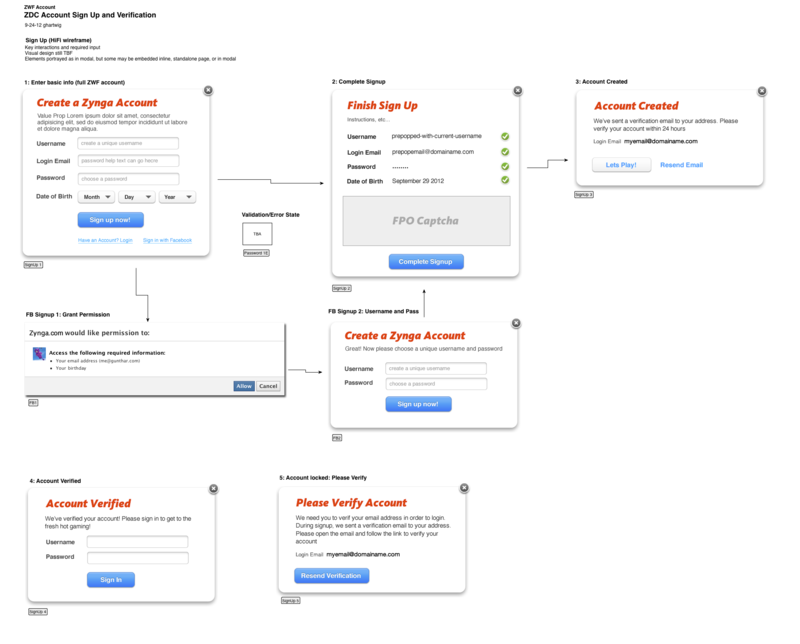 UX manager for 3rd party Developer Platform tools. 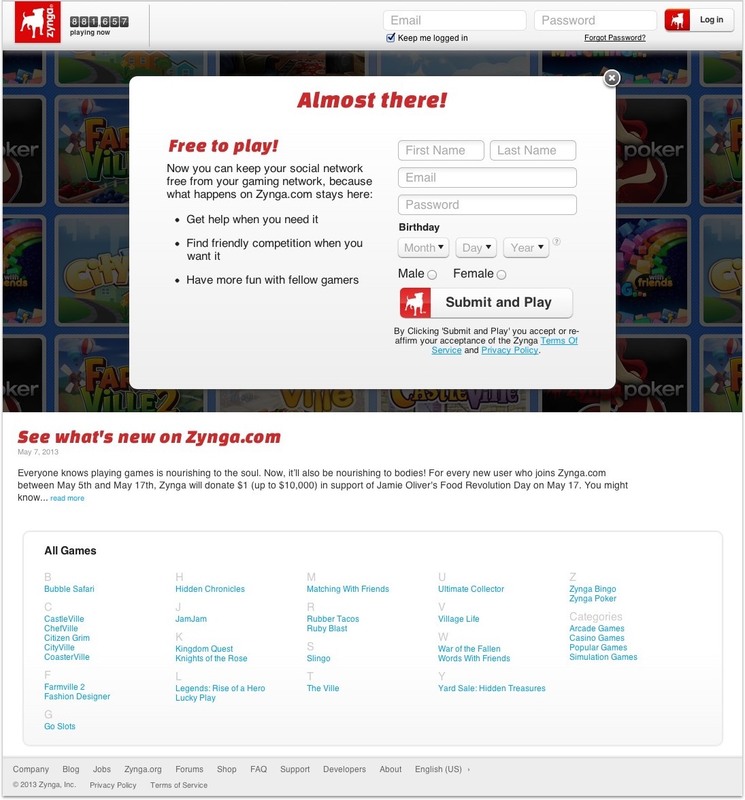 The landing page served as a catalog and promotional tool for games, as well as a personalized experience for account holders. 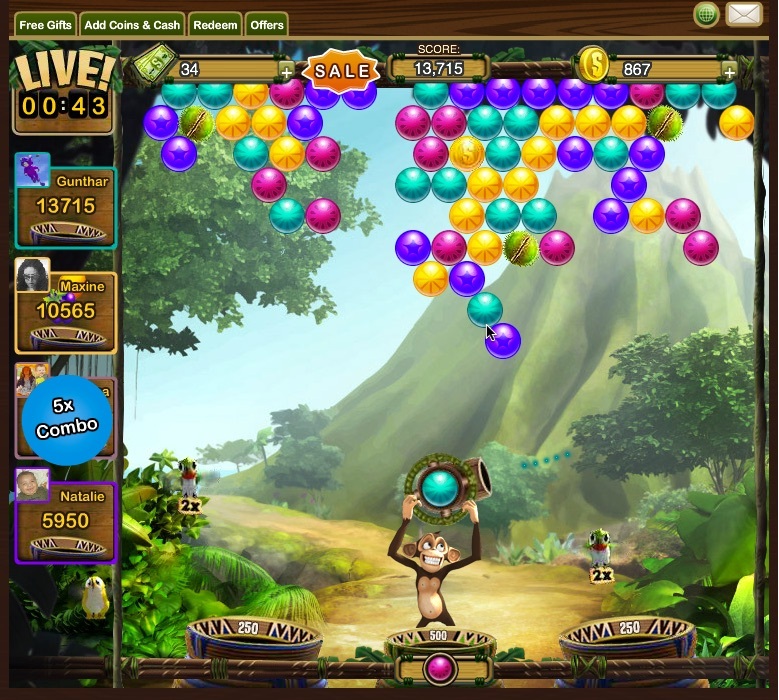 The simultaneous Multiplayer feature was an exclusive to ZDC, allowing up to four players to compete in real time in the hit bubble game. 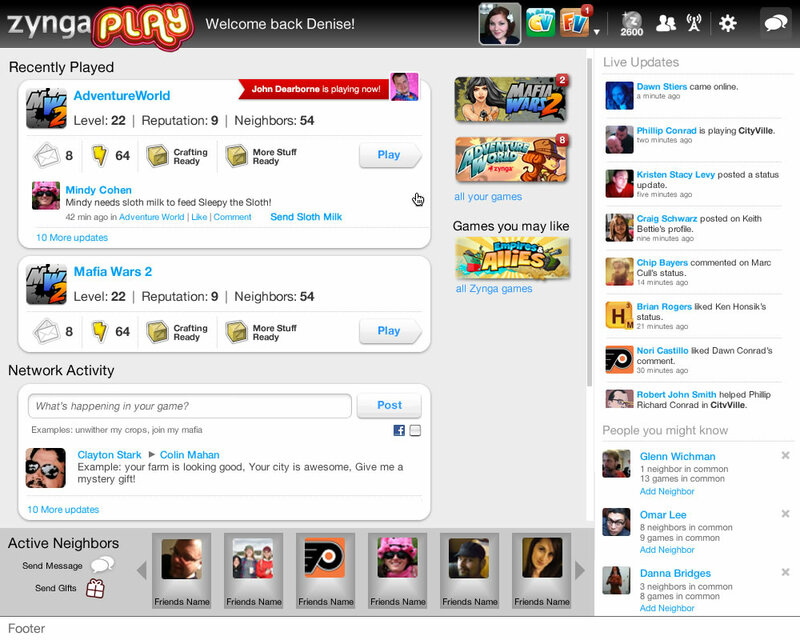 A key strategic goal was to establish direct connections between the company and its player user base. 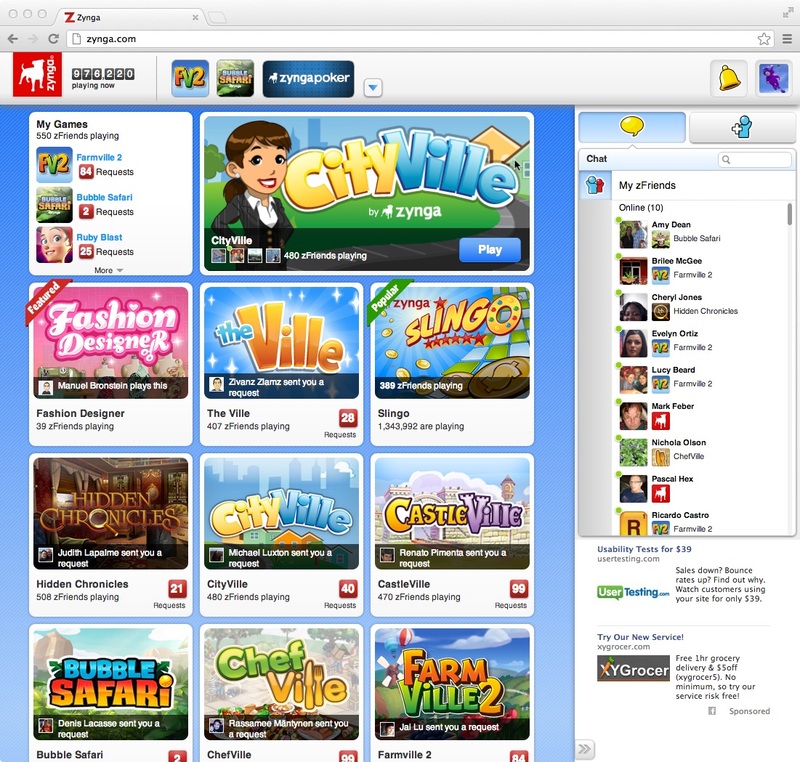 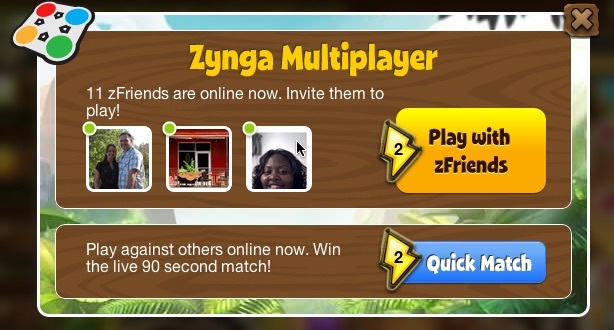 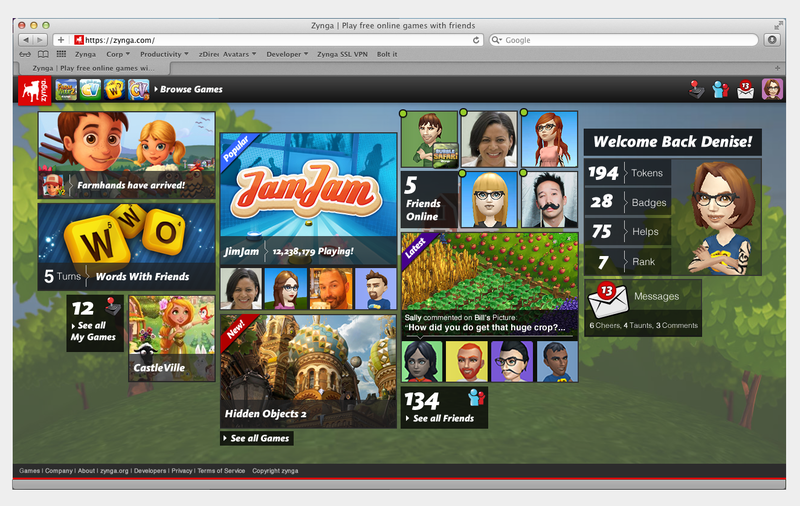 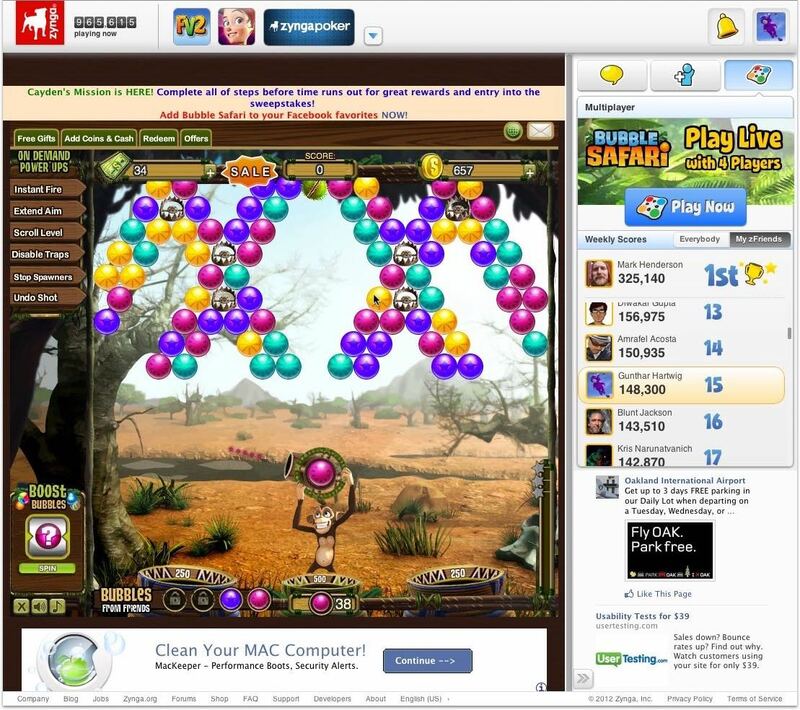 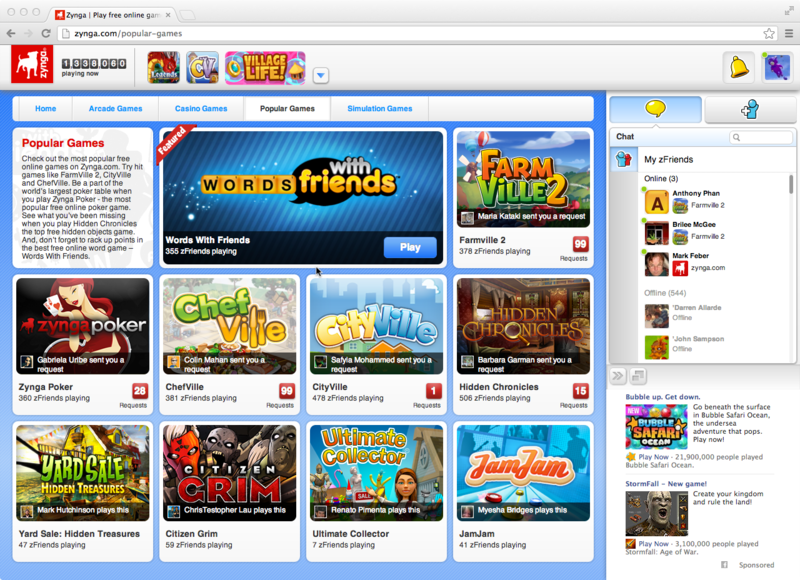 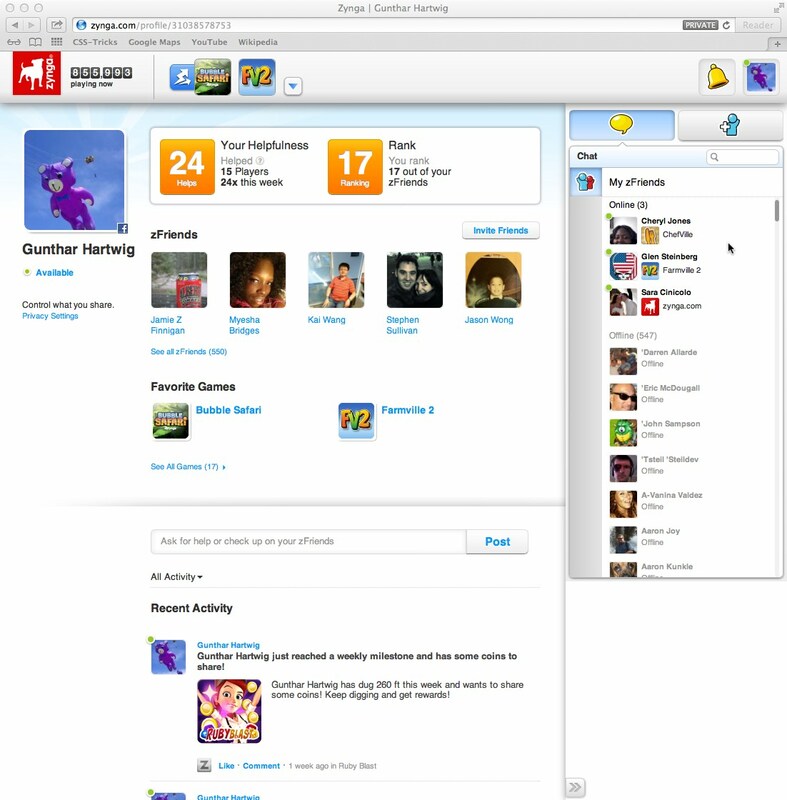 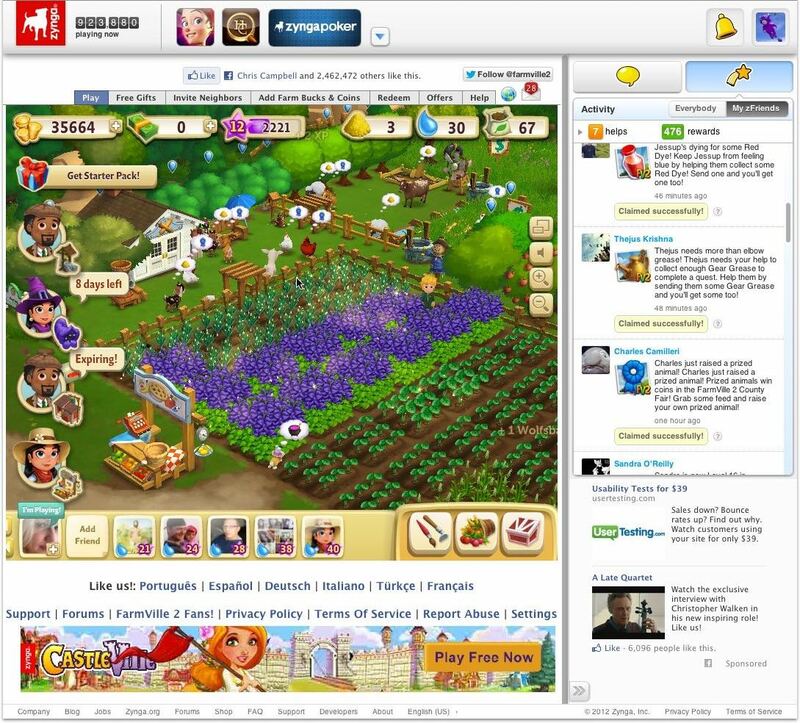 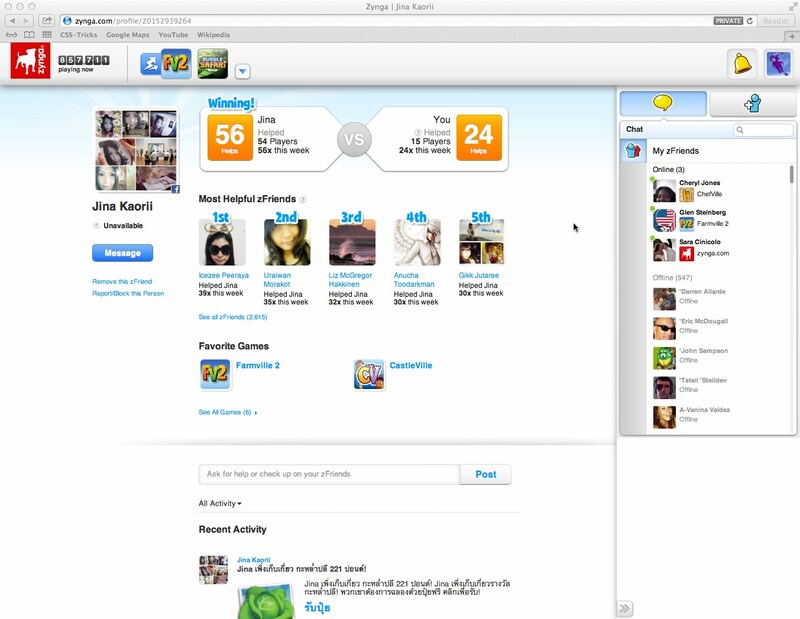 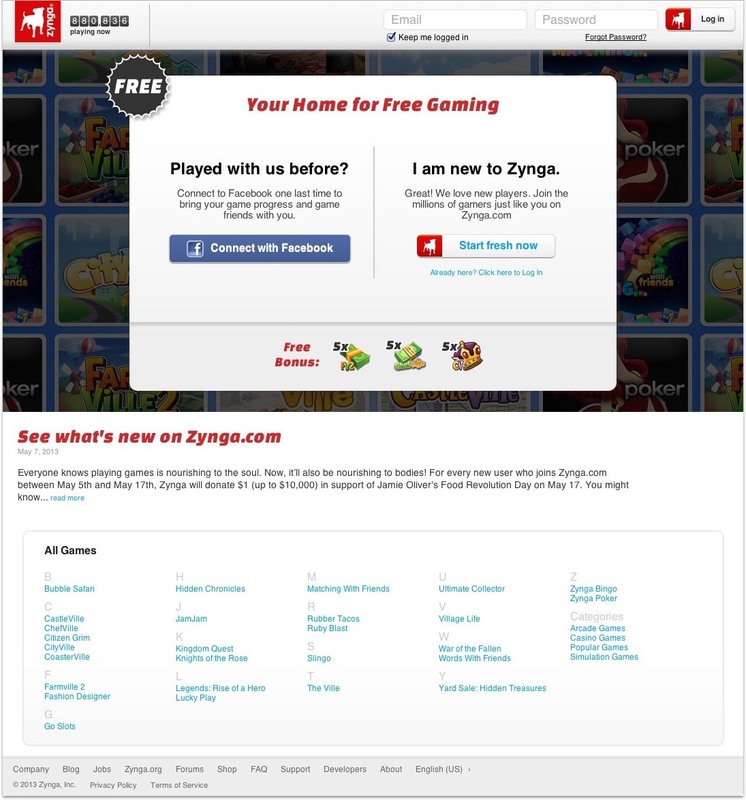 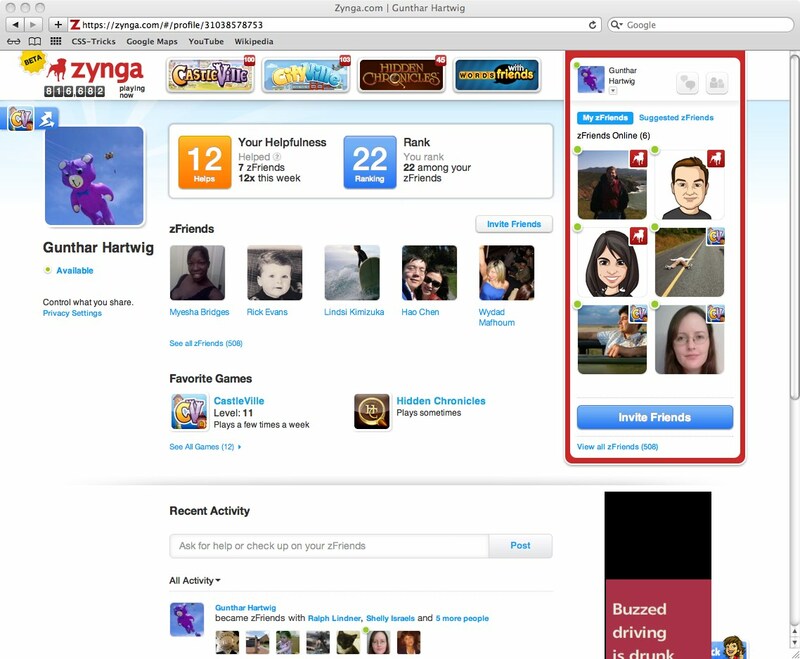 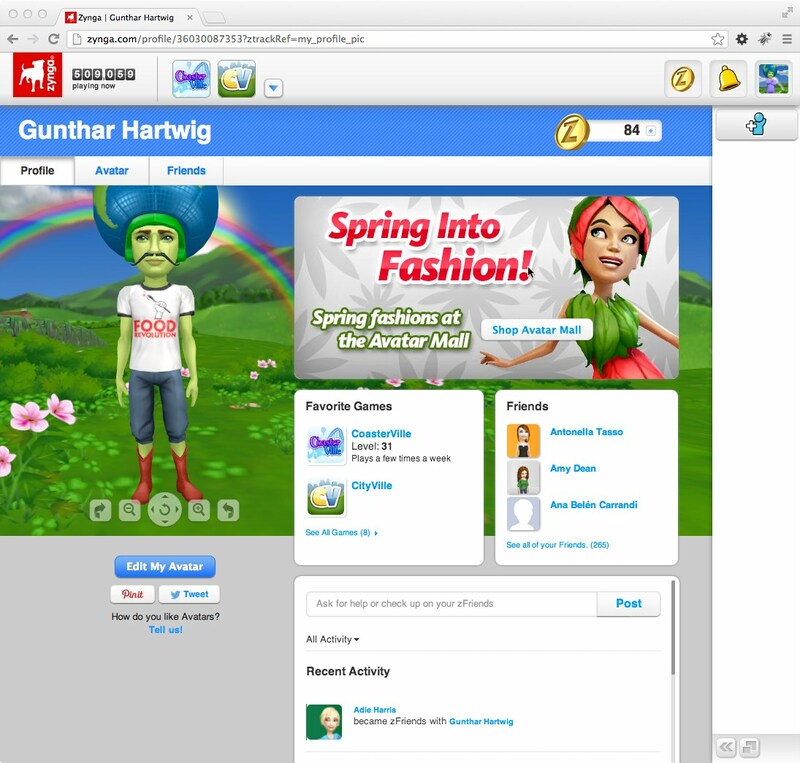 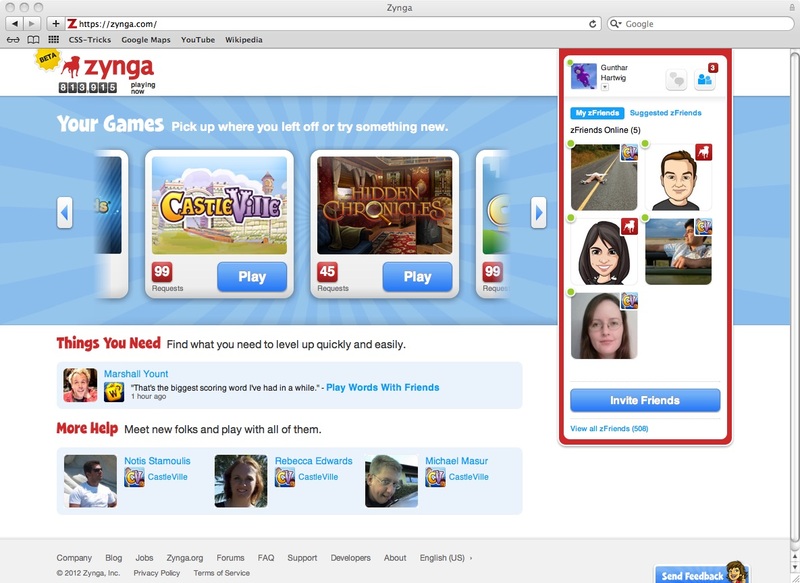 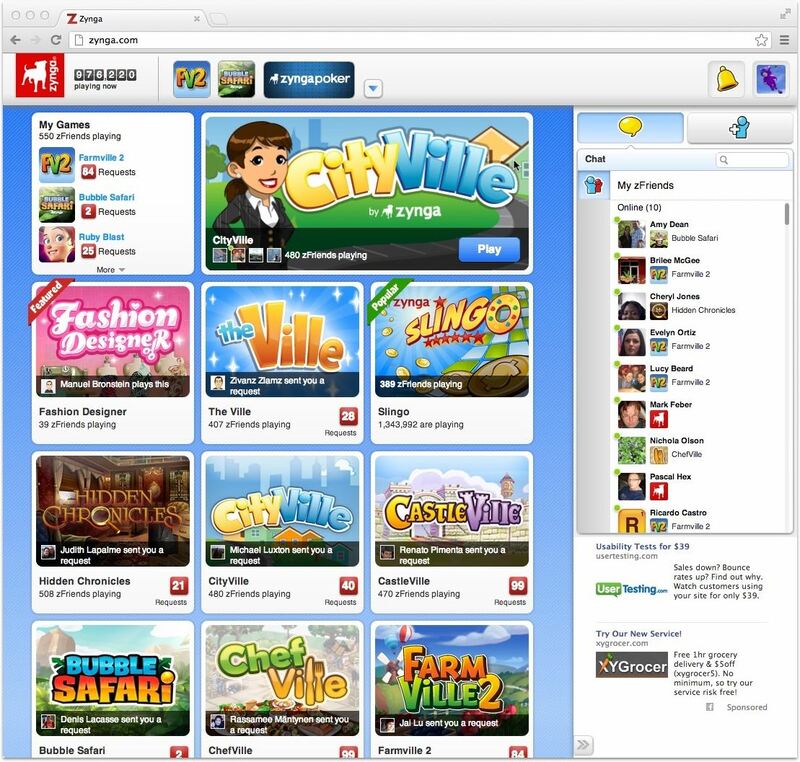 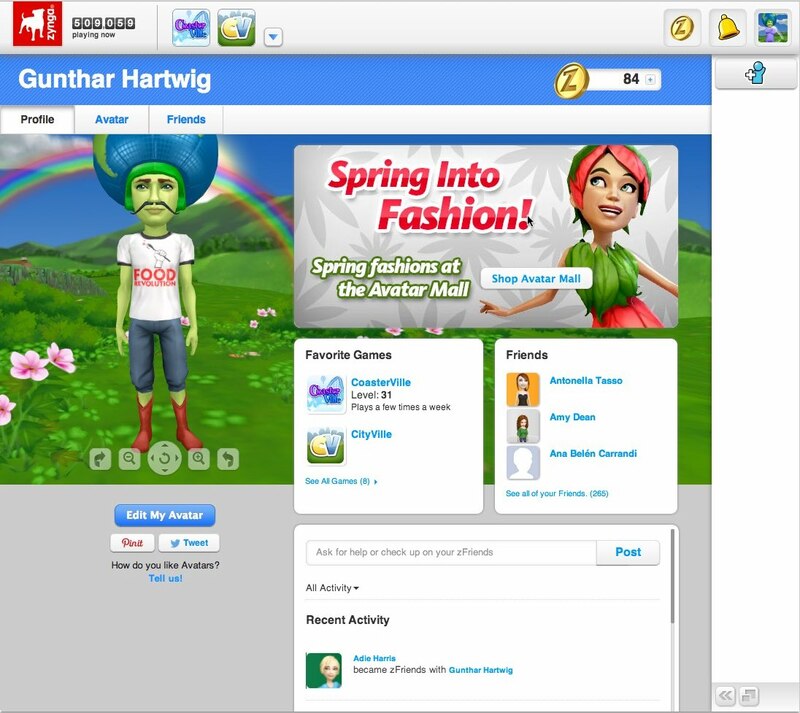 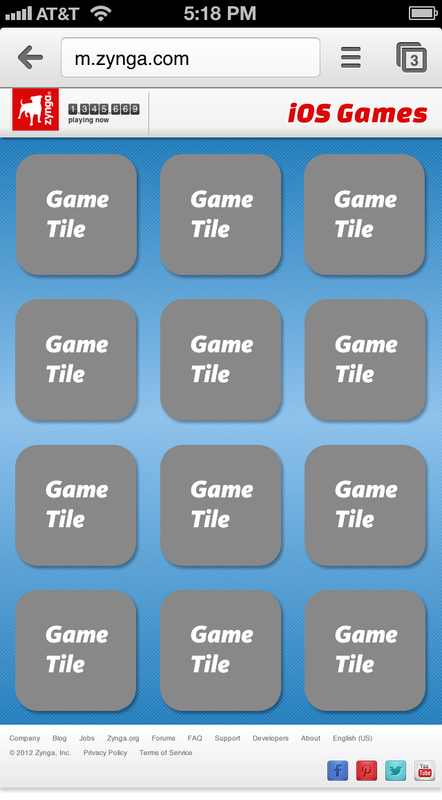 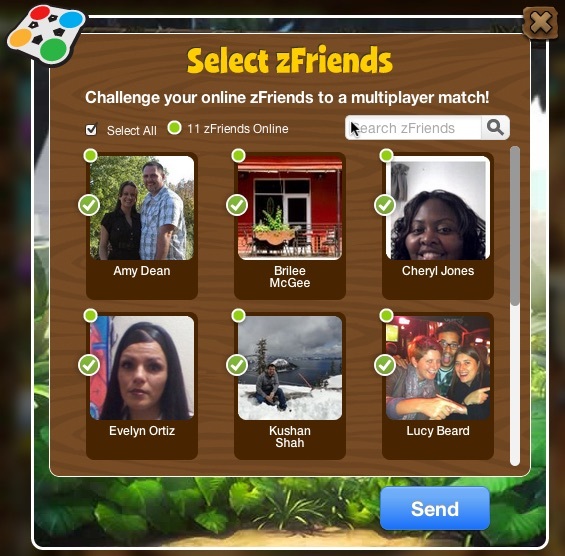 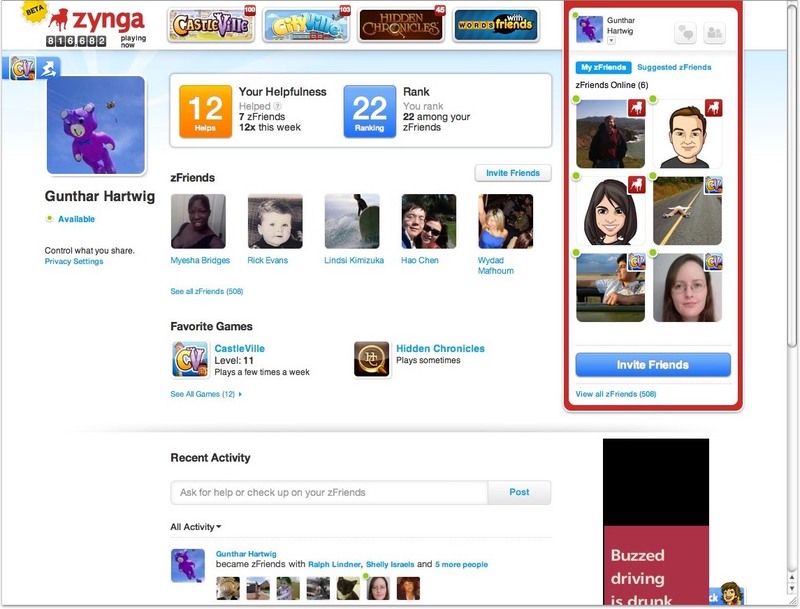 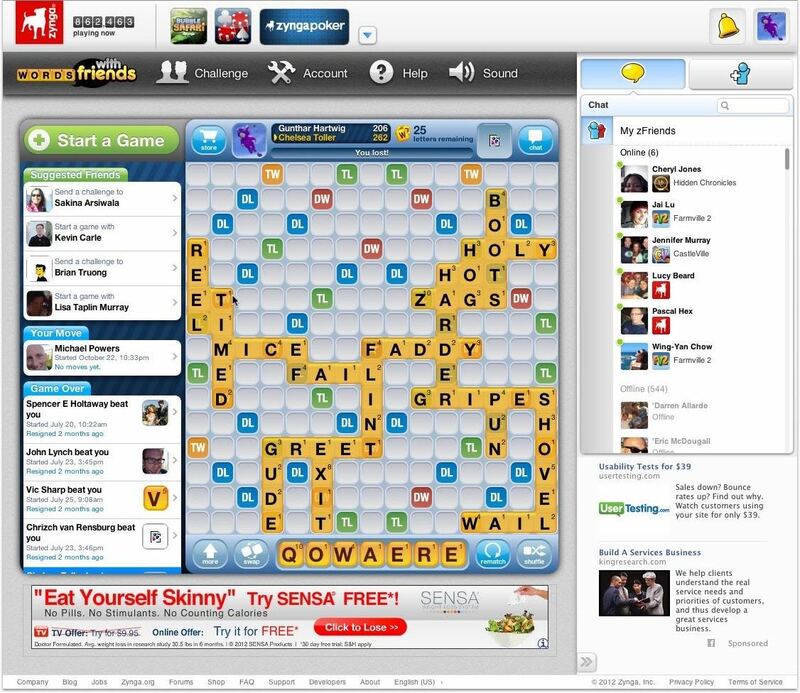 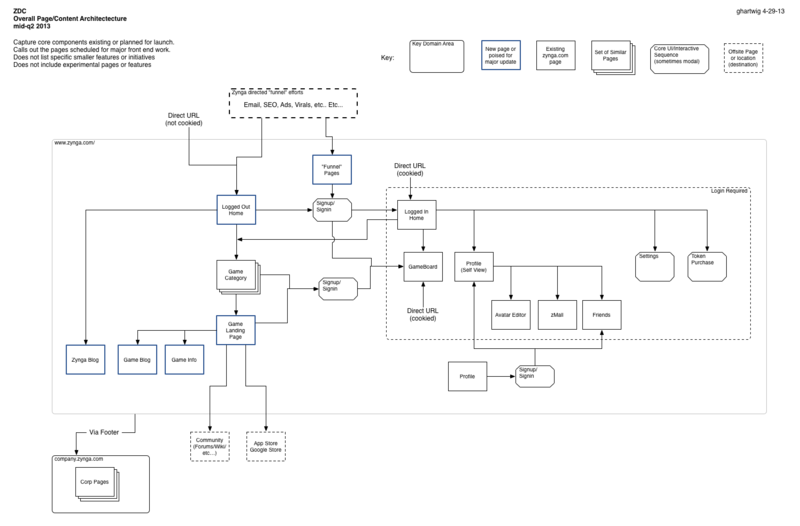 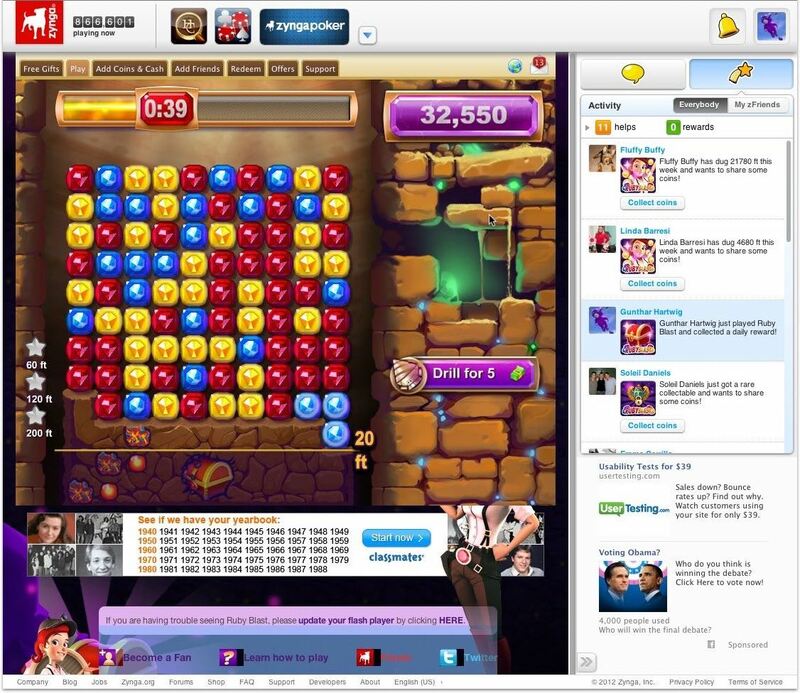 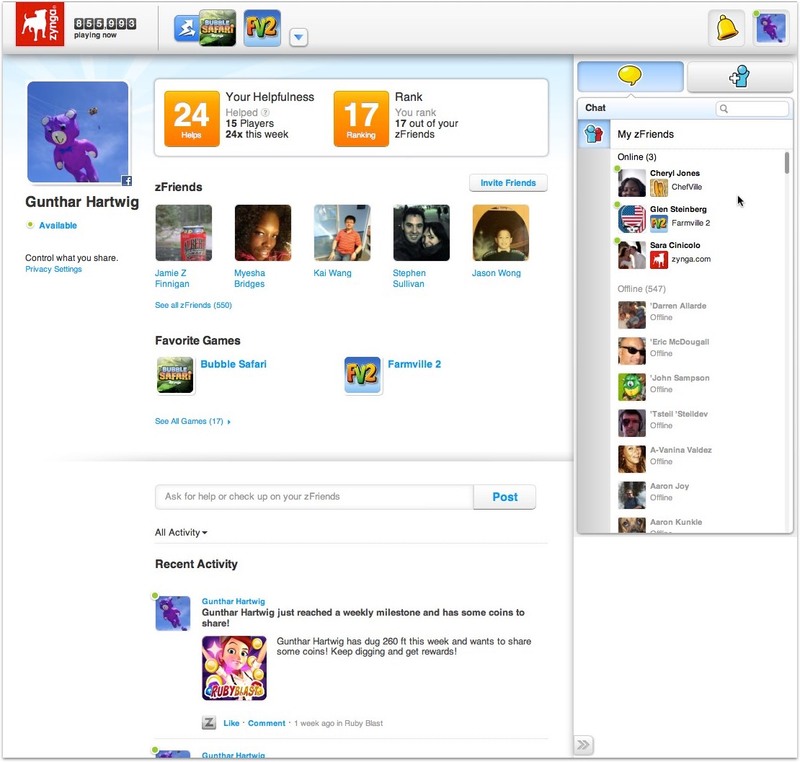 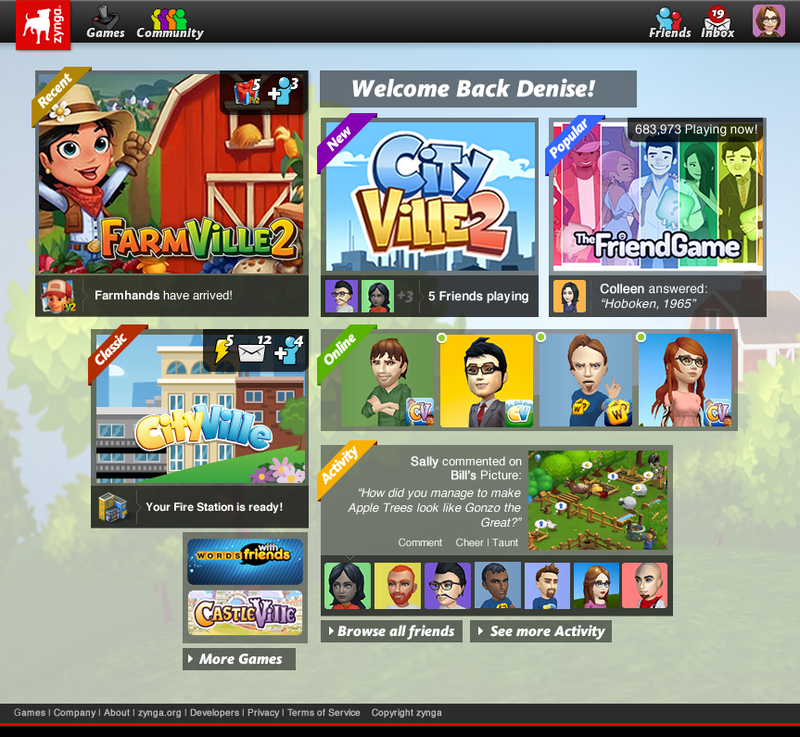 A Zynga account allowed the building of a unique social graph, game perks, and other player friendly options. 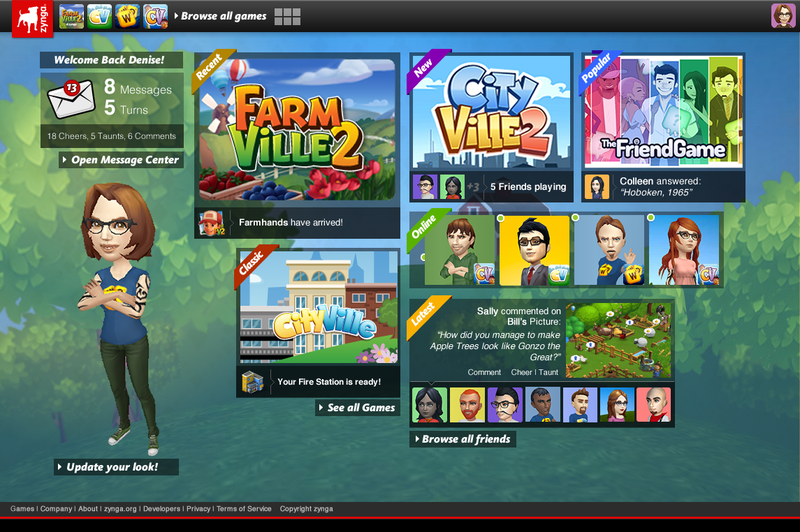 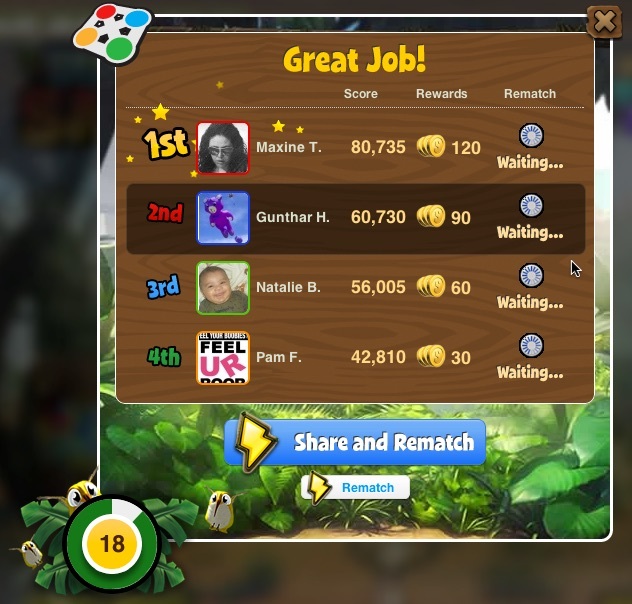 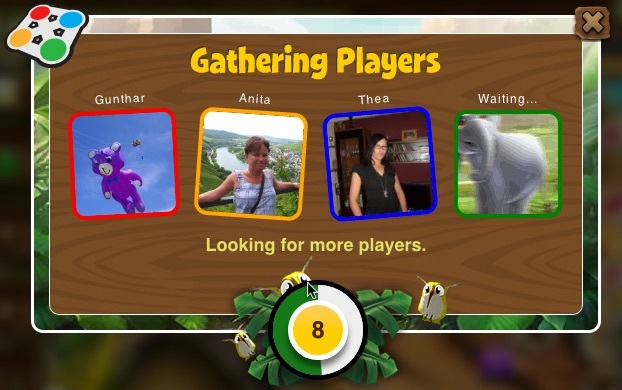 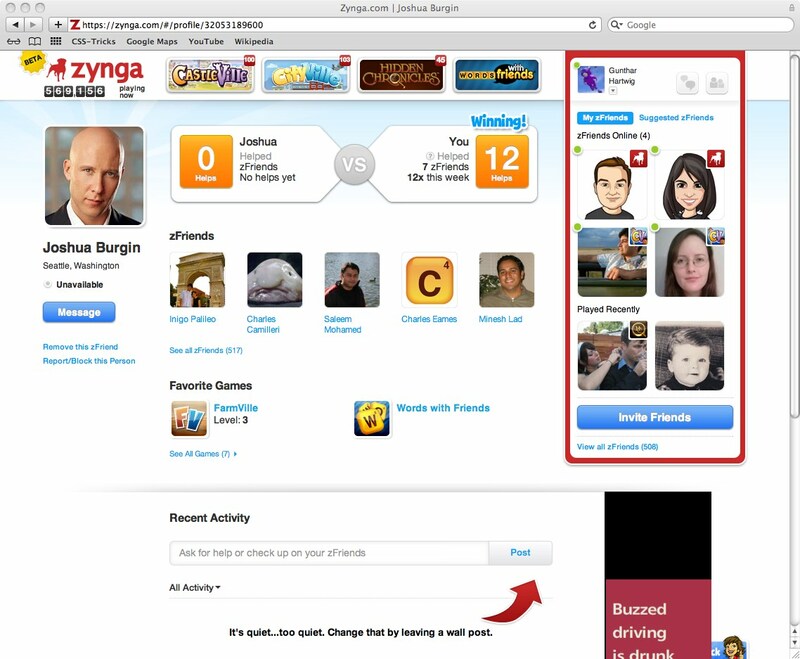 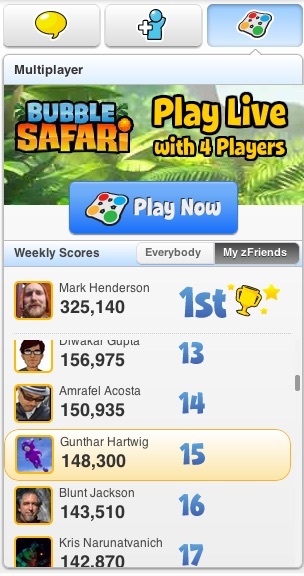 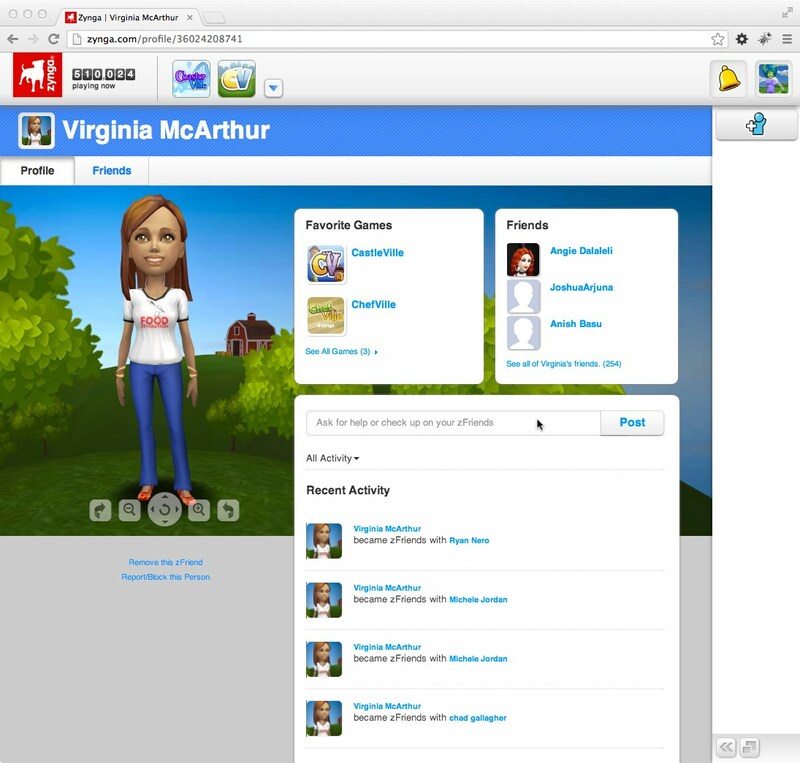 Player profiles give Zynga members a place to showcase activities, badges, and their own unique Zynga Avatar. 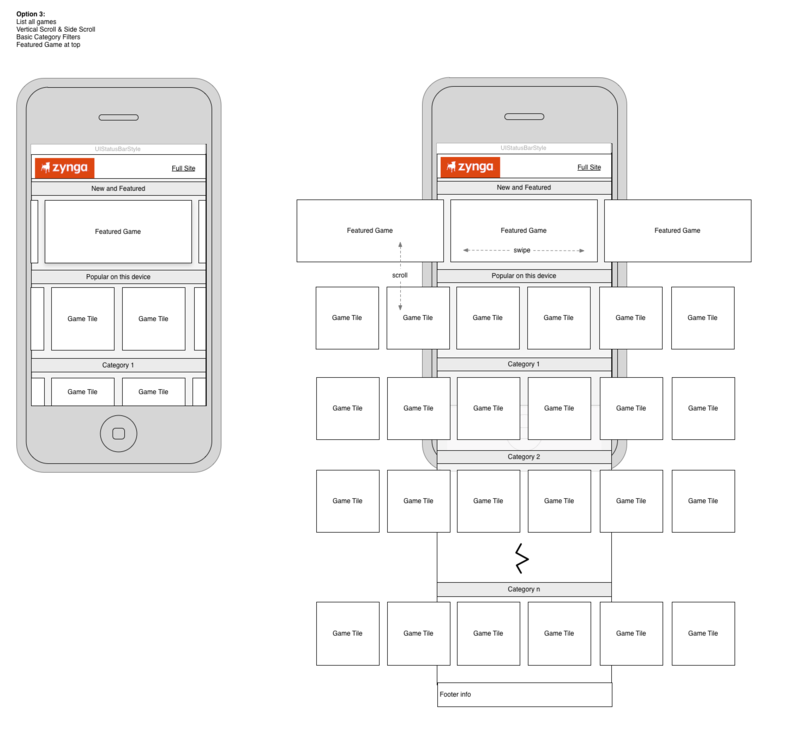 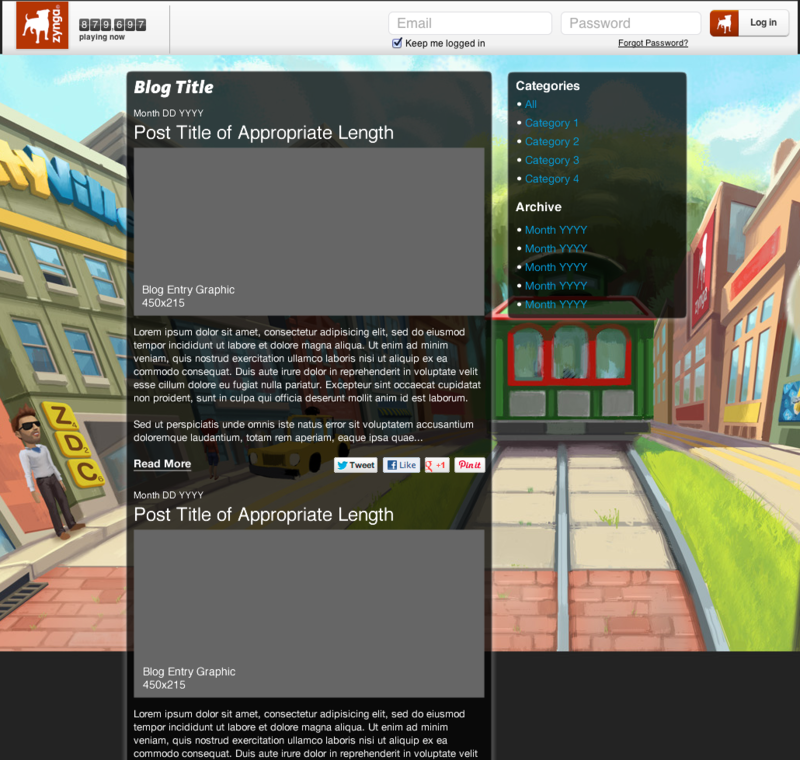 Ideas and concepts generated as part of developing the platform. 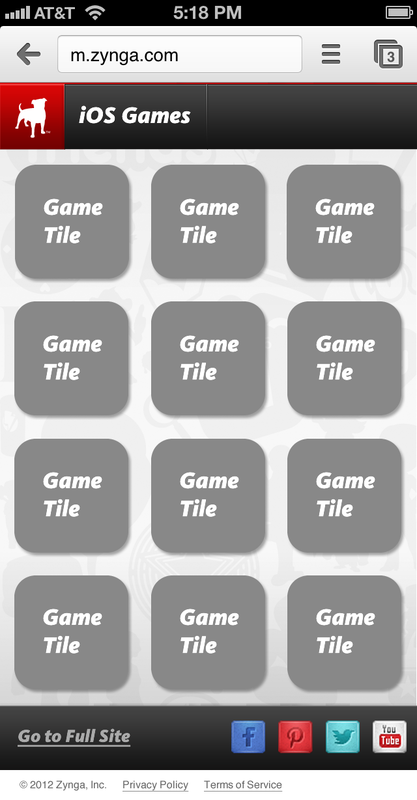 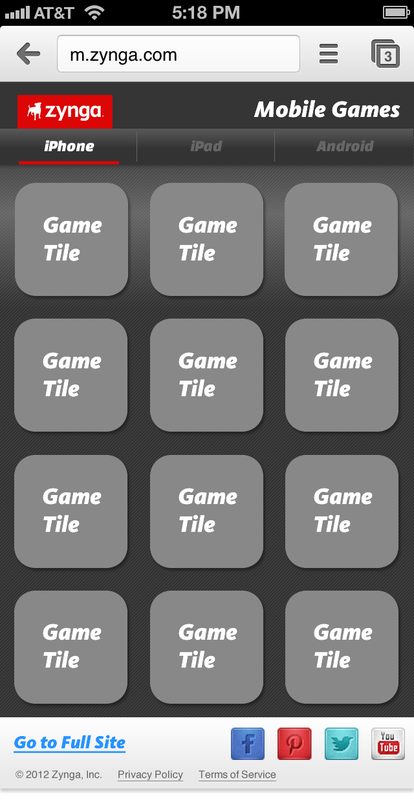 Updating the site to work on mobile phones and direct players to download the app. 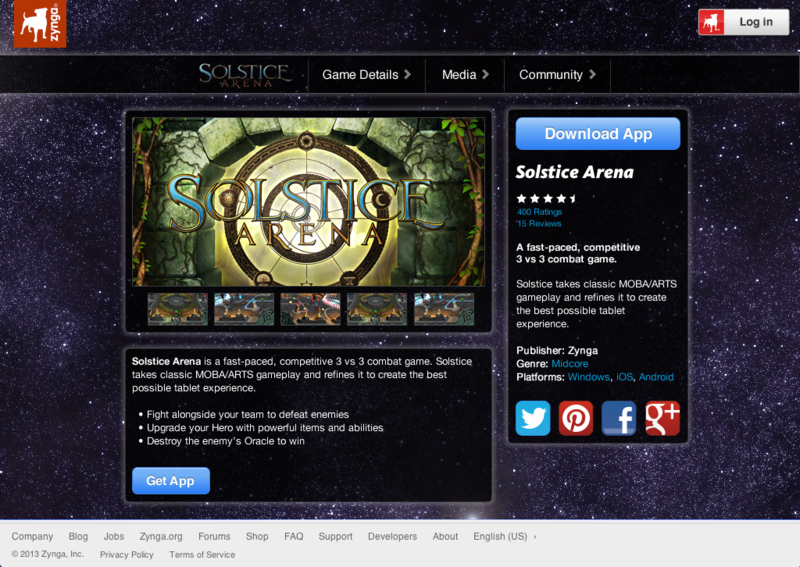 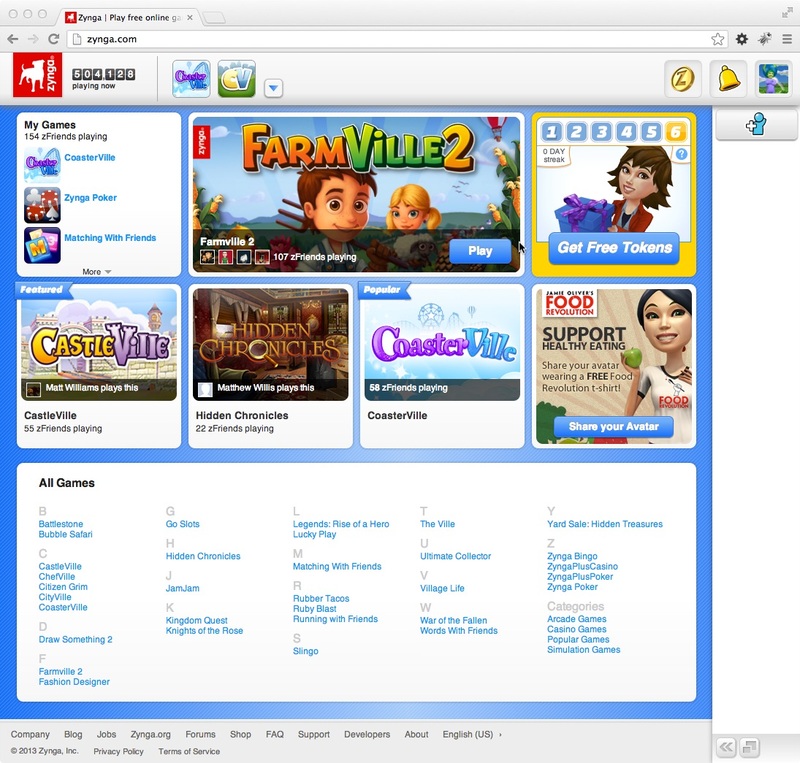 Site pages focussed on game information and community. 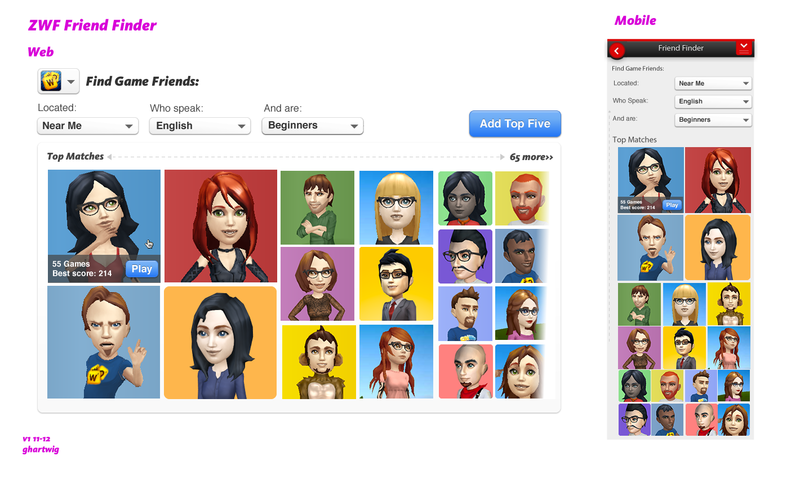 These screenshots reflect the combined efforts of many talented people. 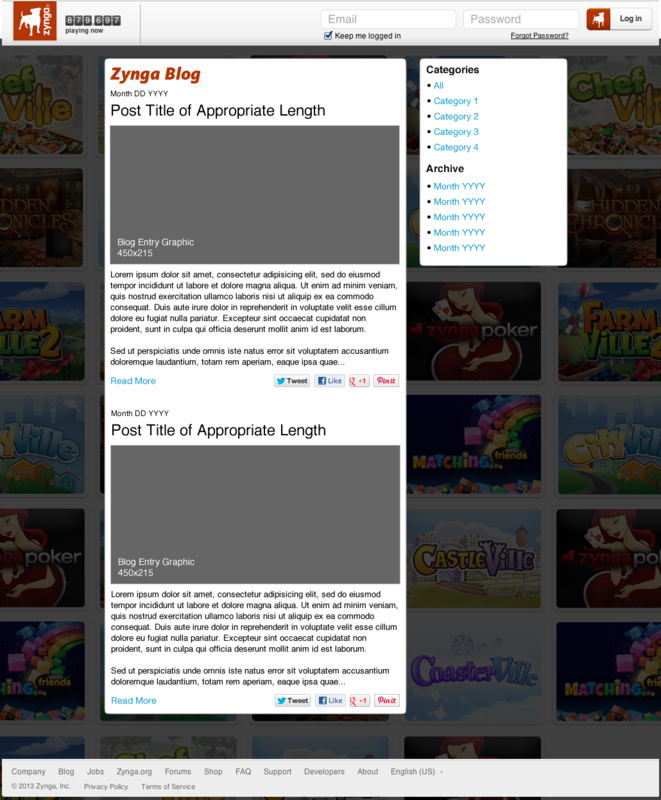 All material copyright respective owners.